Convert Your PSD to HTML sites, PSD to Responsive sites, PSD to WordPress, PSD to Joomla or PSD to Magneto sites quick and best solutions online. Mayur Web Technology is specialized in catering PSD to HTML / XHTML & CSS conversion servicesaround 90+ countries across the world. Being a leading PSD to HTML service provider, we convert your Photoshop designs into a 100% hand-coded, pixel-perfect, W3C validated & cross-browser compatible HTML/XHTML/CSS markup using CSS2.1 or CSS3. How we provide quality PSD to (X)HTML service! We accept designs in various file formats such as JPG, TIF, PSD, BMP, AI, GIF, PDF, etc. Our professionals make a complete analysis of your designs and start the process after understanding all the intricacies related to it. First, we slice the PSD images, then trust the sliced layers in order to add some elements to them. All layers are grouped logically (column, header, content, footer, etc). In order to avoid any chance of technical error, we use only pixel-perfect hand coding that enables the website to be accessed on the diverse web servers across the world (both on smart phones and desktop devices). We convert your PSD file into HTML and this becomes an integrated solution, which brings cross-browser compatibility. These files can be accessed on any browser with similar interface. With this conversion, we ensure well-categorized structure that helps users to get easy navigation. And, CSS files determine enhanced website speed by reducing the load time. Our experts use 100% optimized & handwritten HTML codes in order to develop the performance of your website. To achieve, they remove the redundant part of the code. 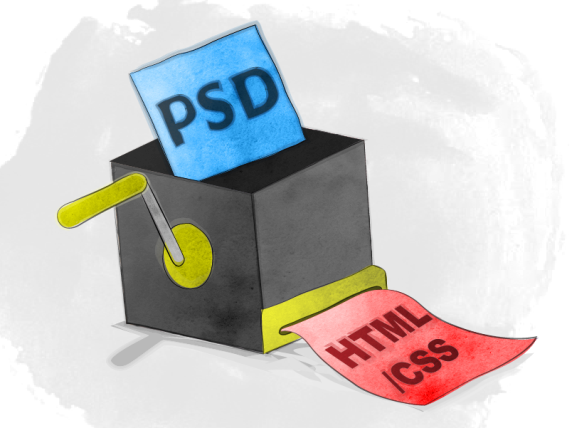 Why we are the best PSD to HTML conversion service provider!